Evolution 2 tripods from 3 Legged Thing feature many improvements from the original 2nd Generation designs. The X2.1 Eddie Evolution 2 is light and compact, but supports as much as 26 lbs. plus of equipment. It includes either a black or blue AirHed 2, an AH2 release plate, built-in detachable monopod and 3LT’s rapid-reversible/removable, single-section center column. 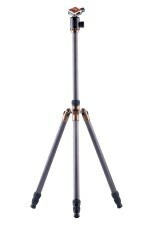 Click here to order the X2.1 Eddie Evolution 2 Tripod directly from 3 Legged Thing for £429.00, which is approximately $680 USD. 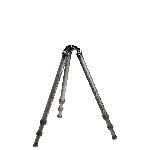 The X5 Frank Evolution 2 Tripod is the most versatile, full-size professional tripod in the world. It has been upgraded to include purer 8-core Stealth Carbon Fiber™ legs and 10-core columns that deliver more precise performance as well as greater lateral and torsional strength. The AirHed 2 Ball Head has also been redesigned to support as much as 88 lbs. plus of heavy equipment. 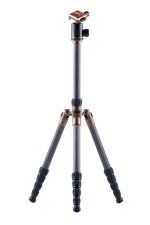 Click here to learn more about this amazing tripod and to order it for £449.00, which is approximately $710 USD. This latest version of Tamron’s most popular all-purpose lens features two major improvements that have excited many photographers. First, it provides a very large focal length range in a compact body, making it easier for DSLR beginners to enjoy the shooting experience as well as the results. Second is the addition of Tamron’s Piezo Drive (PZD), or sonic wave autofocus drive. It also includes Tamron’s Vibration Compensation technology. Click here to order this Tamron lens from Amazon for $649.00. Click here for information on Tamron’s $100 rebate through 12/31/12. The Rosco LitePad Loop Standard Kit is a must-have for professional portrait, fashion and product photographers who are serious about achieving the best results that will exceed their clients’ expectations. It is also an excellent lighting accessory for hobbyists and enthusiasts because it is so easy to use. 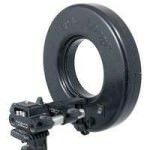 As a ring light, the Rosco LitePad Loop attaches easily to the base of a camera, encircles the end of the lens (or just in front of the lens) and produces a soft, diffuse and steady LED light. Click here to order yours from Amazon for $699.00. 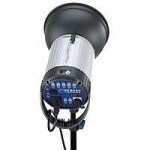 Hensel is one of the finest manufacturers of professional quality lighting equipment, such as the Integra 500 Pro Plus. With multiple voltage options (110–230v), it can be used for any pro’s assignments across the globe. Power is adjustable with a six-stop range in 1/10-stop increments. The Integra 500 Pro Plus also has a built-in radio receiver and modeling light. Click here to place your order today at Amazon for only $719.00. Many professional wildlife and sports photographers choose the Jobu Design Pro2 Gimbal Head to provide heavy-duty support and precise balance for full-size DSLRs and lenses as large as f/4 600mm. It has a completely redesigned CNC swing arm, which is 400% stiffer, but in a head that is lighter, at just 3 lbs., 5 oz. It’s built for rugged use and maximum support of gear weighing as much as 35 lbs. Click here for more information and to order the Jobu Design Pro2 Gimbal Head for $649.00 (CAD), which is approximately the same amount in US dollars. The Really Right Stuff TVC-33 Versa 3 Tripod is built with carbon fiber strength in the three leg sections of each leg. It represents the highest quality of design and construction from a company that doesn’t mass-produce its tripods. Each is assembled by hand in California, making all Versa tripods the world’s only carbon-fiber tripods made entirely in the U.S. The TVC-33 Versa 3 is rated to support 50 lbs. 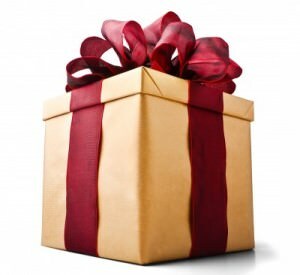 of equipment, but folds into just 26 inches. Click here for more information and to order for $925.00. 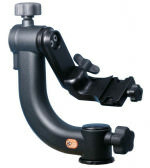 To create the very best macro photos, you need the Cognisys StackShot Extended Macro Rail Package. It helps you capture multiple images of your subject with great accuracy and precision through focus stacking. The images are then combined to give each photo much more depth of field. This electronically controlled macro-rail system automates the entire process with an easy-to-use interface. Click here to learn more about this amazing device and to order it for just $600.00. 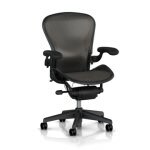 Without a doubt, the Herman Miller Aeron Chair is the most famous and almost perfectly designed ergonomic office chair ever. The PostureFit® mechanism keeps your spine aligned, reducing back pain to almost nothing. The Pellicle suspension conforms to your body, reduces pressure points and provides unparalleled support. This is the chair for any photographer who must spend long hours in post-production. Click here for all the details and to order yours for $869.00. When your passion for photography has inspired you to become a professional, your first choice for a high quality education is The New York Institute of Photography, the world’s largest and oldest photography school. Its Complete Course in Professional Photography includes everything you need to advance your skills and learn how to make a living as a pro…plus, you learn online. Click here for all the details and to enroll today for just $998.00.